Family Promise of New Rock (FPNR) is a network of congregations, volunteers and organizations in the Rockdale and Newton communities working together to help families with children experiencing homelessness achieve sustainable independence. Since November of 2011, Family Promise of NewRock has provided housing and resources to 210 individuals, including 138 children, from 55 families facing homelessness from our community. Family Promise of NewRock is making it’s way back to serving Newton & Rockdale Counties… With your help & support we know that we will be back to serving the homeless local families very soon. Family Promise brings community resources together to help families regain sustainable housing, independence, and dignity. This collaborative partnership of congregations of all faiths, civic and social services organizations, and corporate partners offers an opportunity for a volunteer-driven, 501(c)3 non-profit organization to reduce homelessness and transform lives in a very cost-effective manner. By mobilizing community resources–houses of worship for lodging, congregations for volunteers, social service agencies for assessment and referrals, and existing facilities for day programs–FPNR provides support services that work for families right here in our own community. A superior long-term outcome is achieved by offering a leg-up vs. a hand-out, helping homeless families regain sustainable independence, all at a third of the cost of traditional shelters. The Family Promise model is proven successful, with over 25 years of operation. Nationally, networks are currently operating in 41 states and in DC, in large cities, suburbs, and rural counties. 183 affiliates are in operation, and dozens more are in development. 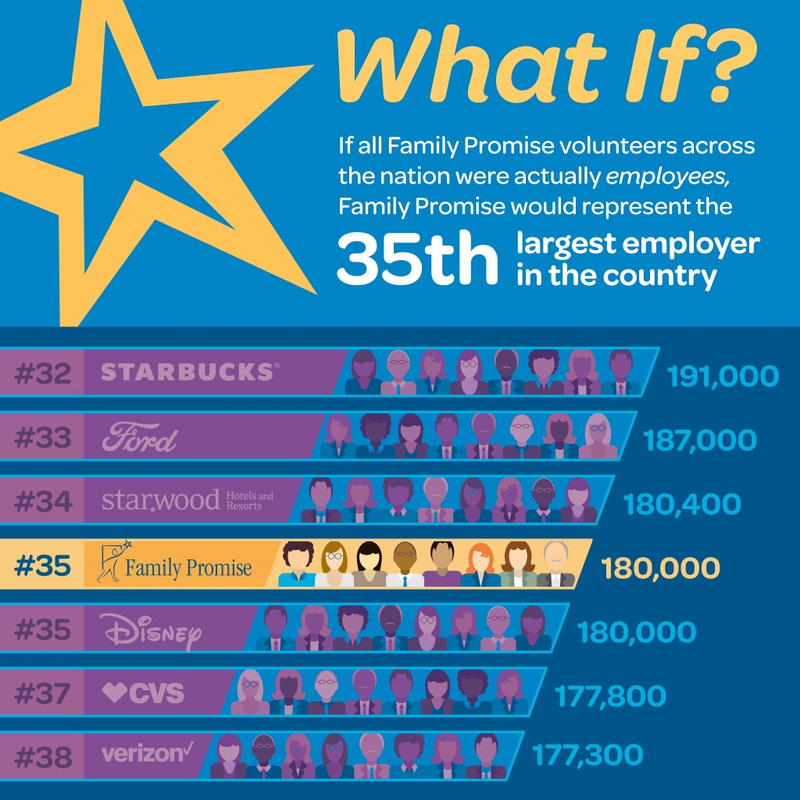 In 2013, Family Promise affiliates served nearly 50,000 children and adults and involved more than 150,000 volunteers in 5,500 congregations.